Most brands know how to tell a story around what they do and why they do it. If you already have an immaculate brand without any hidden flaws. Kudos to you! You are ready to take your brand communication to the next level and maybe let your fans, customers, prospects and clients take a peek behind the curtain. Chances are likely that you are doing something different from your competition. That’s why your personality and interests will help you to define your brand even better. People will want to know more about you. However…for most brands openly and honestly admitting their flaws can be a rather disturbing thought, but surprisingly there’s a big chance it will help your brand to grow…and sometimes it might even save your brand. Attempting to hide flaws often leads to unrealistic customer expectations. This can become a source of frustration, which in turn can potentially boil over into anger. Earlier this year Sidney Vollmer (a dutch copywriter) caused quite a scene when he published a devastating article on his personal blog about his experience with the brand ‘Hello Fresh’ (who cater healthy and fresh ingredients in a ‘fun’ foodbox, based on a weekly subscription). According to Sidney the food was of inferior quality (sometimes even moldy) and often the box was filled with a lot of the same cheap ingredients (like cabbage and eggs). When he tried to cancel his subscription Hello Fresh began stalking Sidney with mailings and phone calls. A response that feels out of place and clearly underestimates the seriousness of the matter. Things got even more out of hand when it turned out that the Hello Fresh brand was owned by the same company as Zalando and Travelbird and is not the honest ‘kitchen table’ startup of ‘founder’ Maartje. Under the influence of social media pressure Hello Fresh had to make a promise to be completely honest about their brand and products. The easiest way for you to manage your customers’ expectations, minimize frustrations and show that you care is by being honest. Share all the information that customers need (the great and the not so great) and you’ll create a level of trust. After you’ve established trust, you can leverage it by showing customers how you’ve overcome challenges or limitations. The best thing about honesty is that it stays rooted in your brand identity when it’s an integral part of your brand strategy. Potential customers can spot a brand that’s overpromising from a mile away. Remember that authentic brands are built day by day (and definitely not in one day). Many brands mistakenly undertake a graphic identity overhaul as a quick and easy way to upgrade their brand image. In the short term, updating a graphic identity can make an impact. A new logo certainly can imply a new or better value proposition, but a new face doesn’t make a new person. Customers will expect to see a brand to live up to its updated logo in the long run. Disappointing them may make the hard work of rebuilding a brand image even harder. Authenticity speaks volumes. Brands that tell a genuine, honest story resonate with people. People believe in honest brands. Even if you don’t think people can spot a fake intuitively, the digital age has given rise to a new era of transparency. 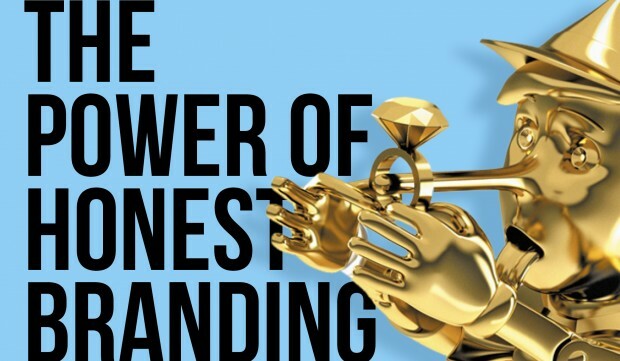 Social media and blogs are forcing brands to live up to their promises more than ever. Even the most carefully crafted press release can’t compete with 1,000 people trashing a brand in a blog. It looks like we value authenticity above other brand attributes, which pushes smart brands to be real with their customers. The payoff (besides good karma) is that while today’s consumers will not tolerate dishonest claims, they are more forgiving of honest mistakes. At DEARDAN&Friends we believe that people buy with emotion and justify with rational. If you want your brand to connect with your customers you must engage with them emotionally, in a positive way that’s relevant to them. Honesty plays an integral part to create that lasting connection.